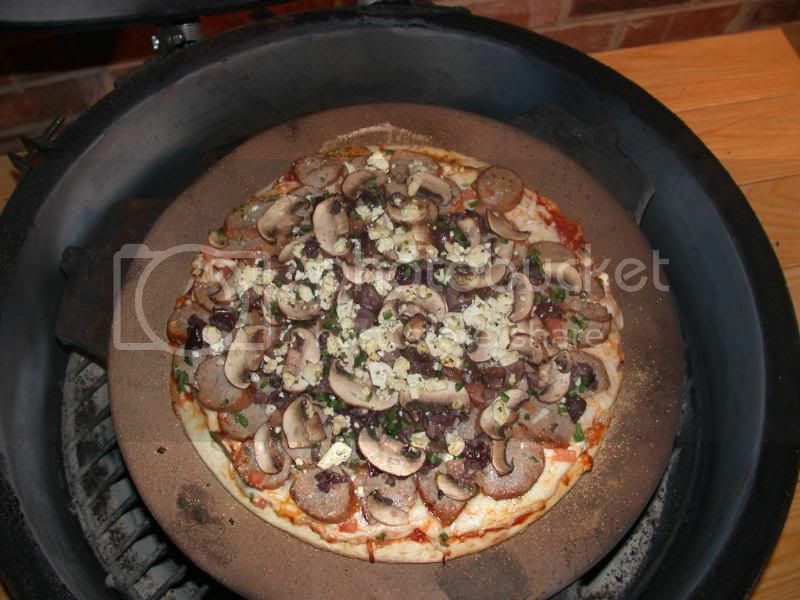 I have been wanting to make a pizza on the BGE for some time now. 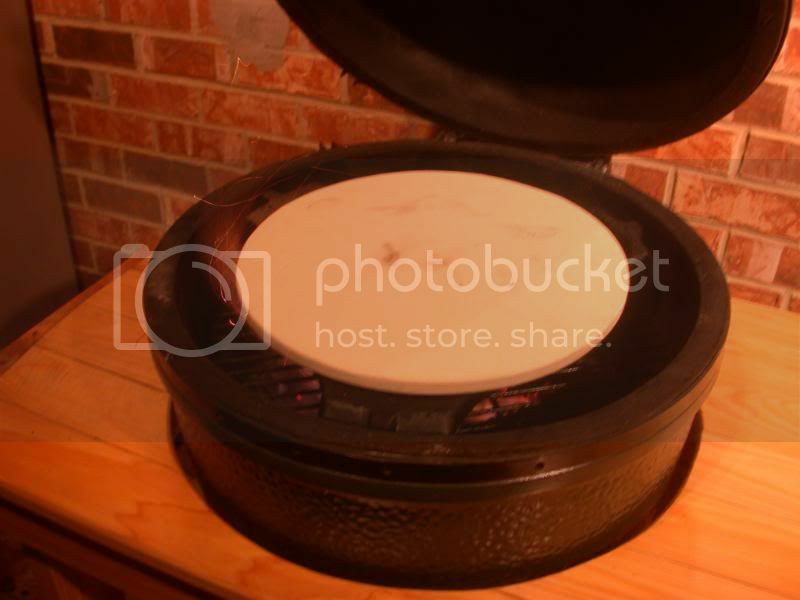 Well, this weekend I got a pizza stone and I was ready to get going. 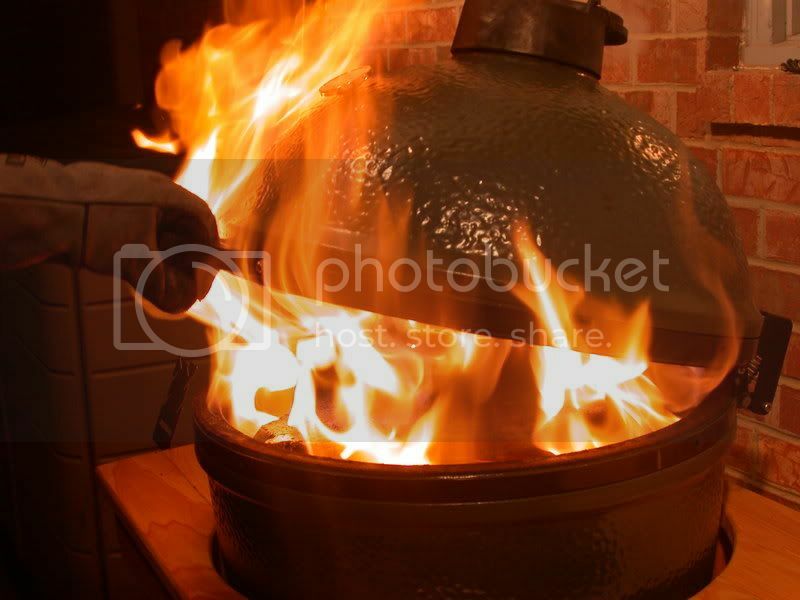 If you search the web, you will find many different techniques on cooking a pizza in the Egg. I decided to go with a pretty standard approach of setting the stone on an inverted plate setter. For my first attempt, I purchased a Boboli crust. With the crust taken care of, I decided to go full steam with the toppings. I may have gone a little overboard, but I can tend to do that sometimes. This pizza was topped with diced black olives, diced jalapeño peppers, chopped tomatoes, mushrooms, feta cheese, pepper jack cheese, and Italian Sausage (first grilled on the egg). I think that one of the big keys here is the crust. I used the store-bought prepared crust, but as with everything, I'm sure that making my own crust or purchasing dough from a local shop would be better. I coated the top of the crust with a thin layer of olive oil followed by roasted garlic marinara sauce. I then added layers of mozzarella cheese, sharp white cheddar, asiago and parmesan - next time, I'd actually go with a little less cheese. With the sauce and cheese base, I began piling on the toppings. The pizza turned out pretty tasty for a first attempt. Next, I am looking forward to making my own crust and doing my lobster b.l.t pizza on the Egg soon. 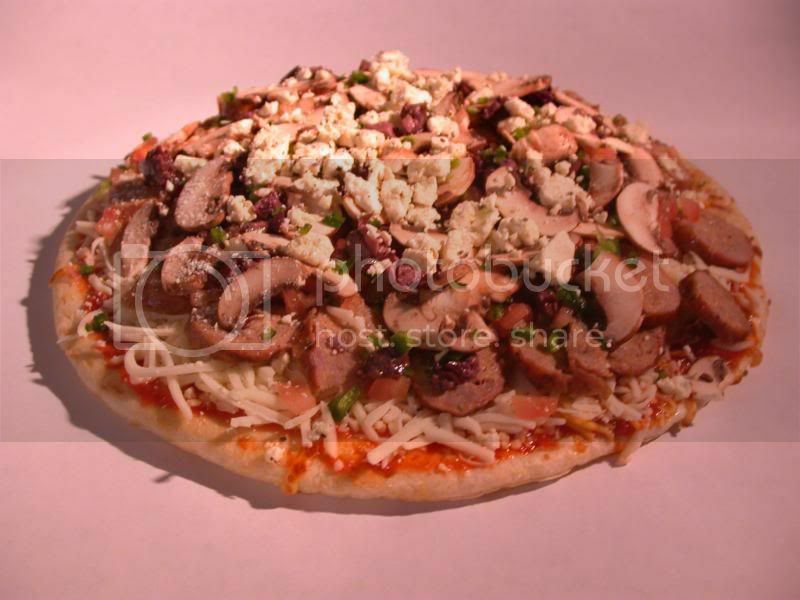 The mushrooms on your pizza look like some wonderful Italian ones that we had on our last trip to the "old country." Were they as tasty as they looked?